The Rings are a Mainstream Strength Tool! 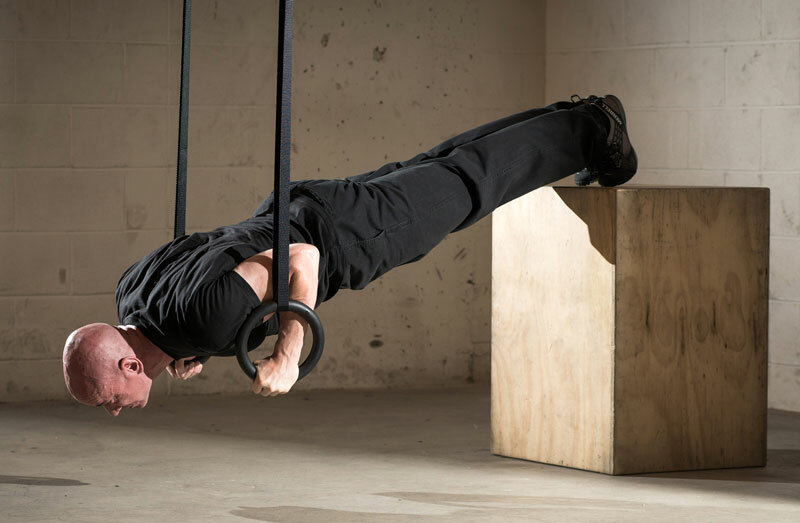 The rings are strength saviors for the over-forties—and in many cases represent a wiser, safer choice for younger athletes seeking to push their physical capabilities to ever-greater heights. How sure are we that Rings of Power (paperback) will work for you? 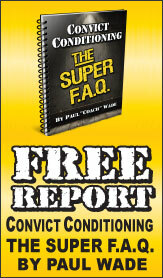 Simply fill out the form below and put Rings of Power (paperback) to work for you right now. Obviously, we would go out of business if Rings of Power (paperback) didn't work, the way we said, right? With the promise of a full refund if you're unsatisfied, you have nothing to lose by trying Rings of Power (paperback). Go ahead and try it today. Ex-paratrooper, ex-cop, bodyguard to some of the wealthiest men on the planet, martial artist, performance coach for tactical operators, competitive fighters and D1 athletes—Mike Gillette is one of the toughest and pound-for pound strongest men you could meet. Mike Gillette experienced a physical rebirth—a second chapter of life—when he turned to rings to save himself from his crippling injuries and joint pain. 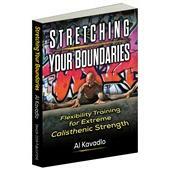 In Rings of Power, the now-legendary strongman has distilled the absolute essence of his discoveries about the "therapeutic strength" benefits of these wonder tools into a commanding guide to getting safely stronger over the long haul. 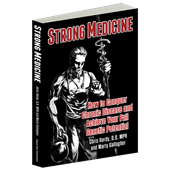 "If you care about getting strong, staying strong, and remaining injury free, Rings of Power is essential reading. I incorporated rings into my own training program a couple of years ago and am glad I did. At 45 years old, I am able to continue my strength pursuits unhindered by the joint and tendon injuries that plague many in the over-40 athletic community. I wish I had Mike Gillette’s book when I started with rings. The crystal clear instruction on techniques and progressions in this book would have saved me the countless hours of often-fruitless experimentation. "Finally—one of the great modern strength experts has taken the most powerful mass and power-building tool from pro gymnasts and ‘liberated’ this tool for the rest of us... Ring work is a very old method of total-body training, while being cutting-edge at the same time, and Gillette is clearly a master of this art. The finest book on this topic ever published. When a legendary powerhouse like Mike Gillette dumps the bench presses and preacher curls for bodyweight methods, it's probably time to put the usual junk techniques on hold and listen up... and when Gillette tells you that he actually gained strength and mass with his new methods while healing his old joint problems, you'd be crazy not to want to hear what he has to say. Rated 10/10 The Rings are a Mainstream Strength Tool! Mike Gillette is truly a man to be reckoned with. His background in the military, law enforcement, and martial arts are incredibly impressive. As are his amazing feats of strength that have put him into the Guinness Book of World Records and Ripley's Believe it or Not. 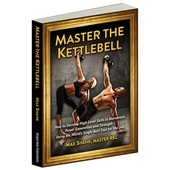 So when someone who has such an amazing pedigree comes along and writes a book about training, I'm going to listen very carefully to what he says. Mike is very honest about how his years of martial arts and bodybuilding-like workouts took a toll on his body. I can wholeheartedly relate with Mike's struggle to find things (after the age of 40) that didn't add to the damage that he had already done. His discovery of Rings allowed him to eventually be pain free and retain, if not gain, additional strength and mobility. If you are entering your third or fourth decade of physical training then you might want to take Mike's lead on this one? 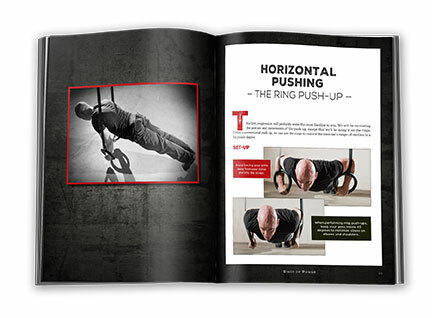 Rings of Power takes an in-depth look at the various planes of movement and the exercises that will best address them. While some of the skills are pretty advanced for your average athlete, Mike provides progressions and next steps to get you there (given the right application of time, sweat and effort). 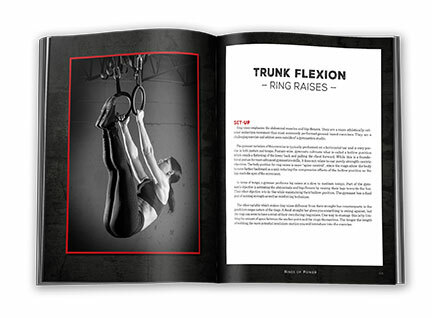 If you need a tool that will add some depth to your training, as well as add some much needed challenge to movements that you are already familiar with, then I suggest that you look at picking up a copy of Mike's Rings of Power and a pair of Rings. Enjoy the ride! 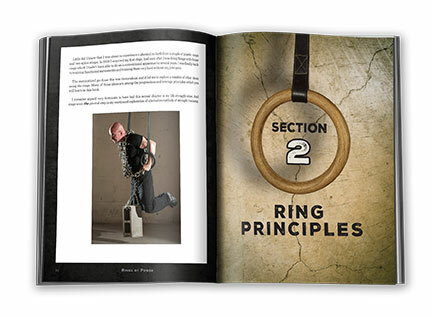 Mike Gillette's book on ring training possesses a number of features that have become the hallmark of Dragon Door publications. Though 'typical' may appear derogatory, the review should justify the term and, it should be noted, I have a lot of Dragon Door books! As usual, one should not expect an abundance of material to be presented. The information is typically concise, or sparse if you prefer. Following a brief introduction and some essential principles, the author provides the basis of the system. A couple of pushes and pulls, a squat, and some stabilization work, provide a nearly comprehensive strength training regimen... Don't worry, you won't have to go far into the Dragon Door catalog to find a suitable hip hinge movement. The presentation of the material is good. Dragon Door has certainly improved its publication skills. Large, clear, color photographs appear throughout the book, replacing any superfluous, or even potentially important, text/information. Fortunately, the text that does appear is clean and, unlike some earlier books, the vanishing and/or phantom sentences do not appear (or disappear)... Of course, I wouldn't recommend relying completely upon the 'Table of Contents,' though it will get you in the general area. Brief reviews are provided by Dragon Door's 'new regime' of authors/contributors. As usual, these reviews follow several pages of advertisements and order forms for the aforementioned's various texts? At least, in this case, the texts of Paul Wade and the Kavadlo brothers. The forward is written by Dan John, a member of the RKC 'old guard.' The material presented seems to jibe with that of 'Easy Strength' and the strength sections of 'Never Let Go,' and 'Intervention,' as well as Mr. John's information available online? Tolkien humor aside, I wouldn't miss an opportunity to read something, no matter how brief, from Dan John. Another feature, typical of other Dragon Door texts, is the introduction of some equipment, necessary to employ all of the movements from the book. 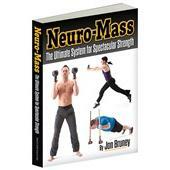 Fortunately, we don't approach the three new products required for 'NeuroMass,' but we probably don't have long to wait for Dragon Door's sale of the wobble bar shown in 'Rings of Power' ? Though painful to admit, whatever adjectives may be applied to the product, whether 'military grade' or not, I'd like to check one out! Hopefully, this information will assist in the decision of purchasing the text. This book is a tremendous photo resource. My critique though is that if you still in an early learning curve, this book will not be as helpful as you might hope. As an aspirational resource it sings. As a step by step guide to moves it is almost silent. A picture if worth a 1,000 words? I would have preferred far more text. Still, an inspirational book by two great trainers.